In smart devices space, the battle has moved from hardware to software to services and now to intelligence. The basic definition of smartphone is that it needs to be inherently smart. The first level of smartness industry achieved with addition of touch interface, then a new form of natural interaction and an entire ecosystem of apps and services developed based on it, making us do more and smartly on our devices. Fast forward to now, what Google and Amazon have been doing with Google Assistant and Alexa is the direction any technology company would need/like to venture in. The next decade which I term it as “Big Information era” will be won by those who sit on data gold mine and use it prudently to convert it into actionable information to drive newer experiences and business models. Google and Amazon have all the building blocks in place to scale the “data collection” through crafting more and more natural interaction experiences. Apple under the stealth mode and is racing to develop the same with Siri but still challenging as its not Apple’s core competency. 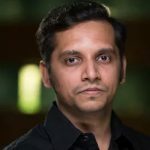 The most natural thing being developing the “voice” as a Natural User Interaction or Interface (NUI) to collect this data and convert into contextual intelligence to drive newer and unique experiences on the fly. Google owns the Search cloud, Amazon the Retail Cloud, Facebook the Social Cloud, HERE the Location Cloud where does this leave Apple and Samsung? It becomes imperative for Samsung to not miss out on this wave of Artificial Intelligence, Bixby and acquisition of Viv Labs are testament to the fact. 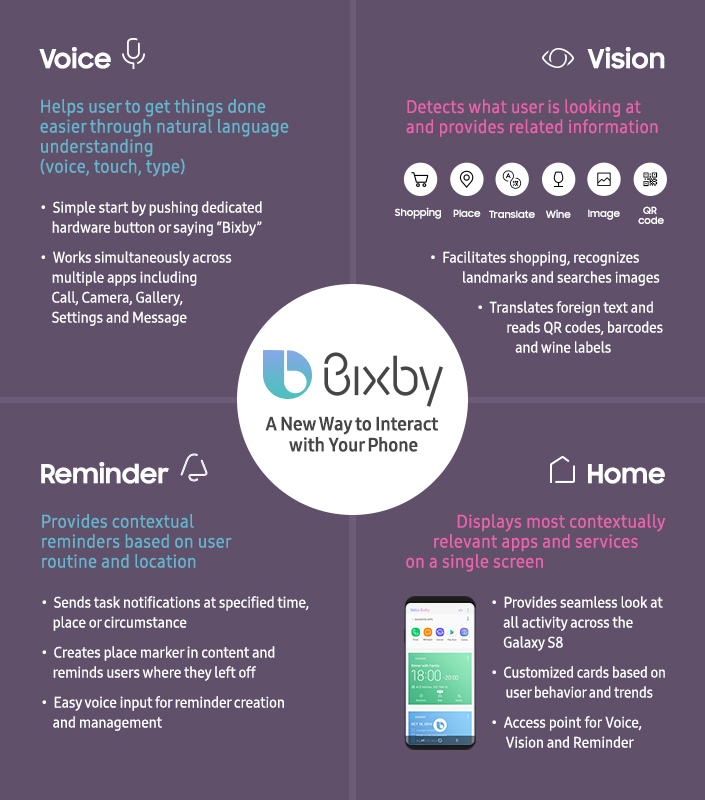 Adding AI based Bixby into its flagship across core Samsung apps as we saw at the Galaxy S8 launch is a key and important move for Samsung as it cannot afford to lag behind Google or Apple. It has the vertical integration, scale and a broad hardware portfolio which can be potentially leveraged to learn from hundreds of millions of users by giving them a tool to enhance their user experiences on the Samsung devices. As a result, Bixby’s integration is supercritical for Samsung. However, just by integrating Bixby, Samsung doesn’t instantly become a Big Information player. Its far far away from scaling it across the portfolio from S8 to J2 or SmartThings to Harman speakers or earbuds (see AI powered Hearables Growth) to close partnership with Facebook for VR. Secondly, Google’s approach is getting deeper and deeper with GMS based Assistant integration into the Android OS. Hence the new OS version supported apps will bound to follow the Assistant’s natural integration. But this will be a challenge for non-platform vendors like Samsung as they will have to super-impose their solutions on or alongside Google’s powerful solution. So scaling across the siloed apps and services integrating Bixby will need lots of partnerships and developers evangelism. So Samsung would be better off concentrating on their core own-branded/developed app and integrate Bixby to enhance the overall user experience. If Samsung can get Bixby working only on the core hygiene apps on their devices to enhance the usability then it should be good enough for Samsung to stay afloat in the AI/Big Information race considering the scale they have beyond smartphones. 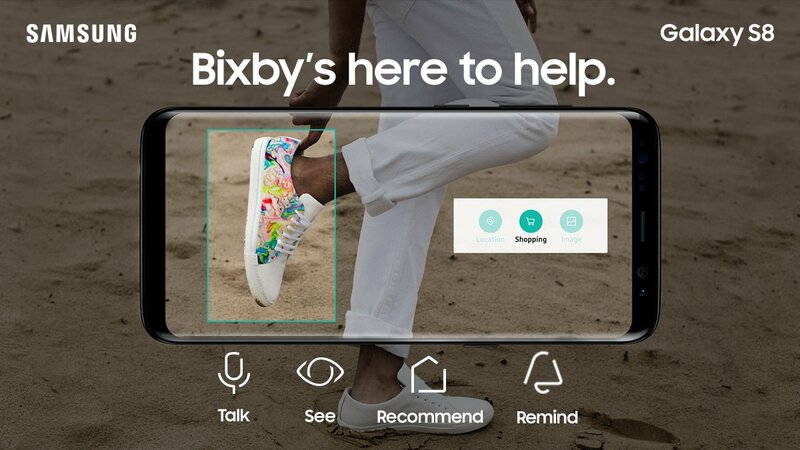 Though for their own apps integration with Bixby, partnerships will be key and will have to superior level of localization (geographically – multiple languages, local content local services) and customization to make it really effective and useful. 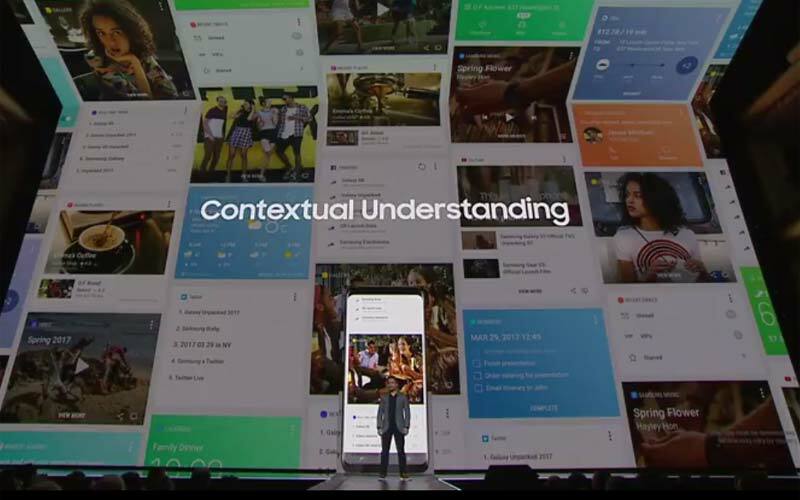 In summary, Samsung has finally taken the bold step (though road is long and challenging) towards integration of in-house AI powered solution to shape newer experiences, drive usability and eventually remain relevant in the “Big Information era”.